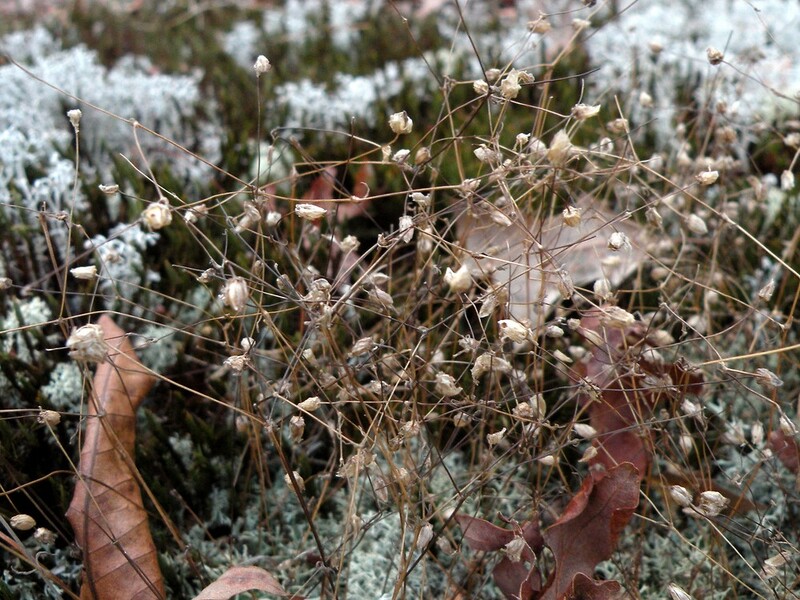 Appalachian sandplant is native to the eastern United States, but is rare in New England. 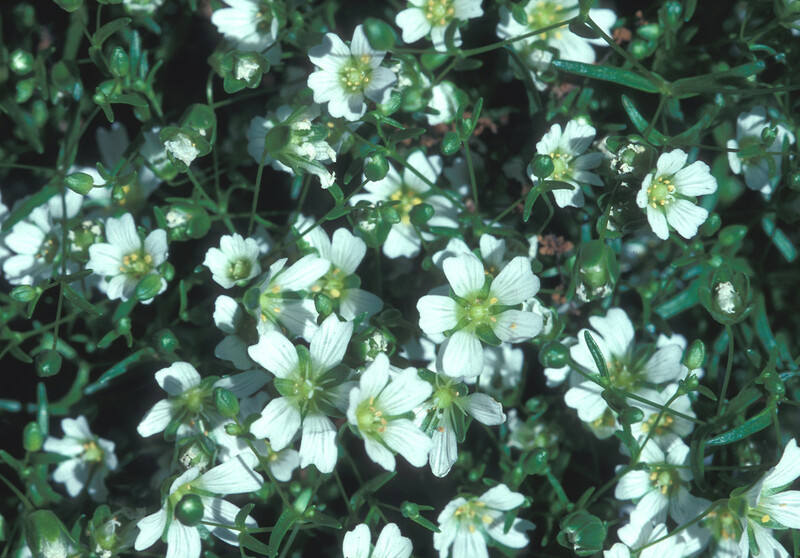 This species is morphologically so close to mountain sandplant (Minuartia groenlandica) that they are currently dstinguished mainly by habitat, at least in New England. 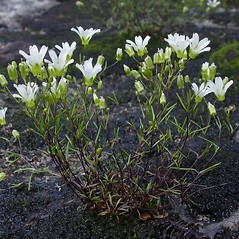 Appalachian sandplant is typically found at lower elevations, typically low summits, ledges and balds, or rock slabs and sandy gravel near the coast, whereas mountain sandplant is found on high, open alpine summits, except for a population on Mount Desert Island, Maine. leaf blades rigid, triangular in cross-section, stem usually glandular-pubescent above, and petals entire at apex (vs. M. glabra, with leaf blades soft, flat, stem glabrous, and petals slightly retuse at apex). plants perennial, forming small mats, with often dense, sterile, leafy shoots at the base of the plant, and found usually in alpine settings at or above 1000 m elevation (vs. M. glabra, with the plants annual, not forming mats, lacking sterile, leafy shoots at the base of the plant or these very small, and found usually on acidic ridges, balds, and outcrops well below 1000 m elevation). 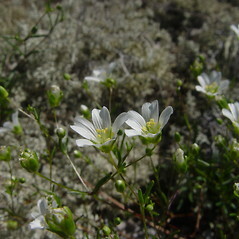 Arenaria groenlandica (Retz.) Spreng. var. glabra (Michx.) Fern. Appalachian sandplant. 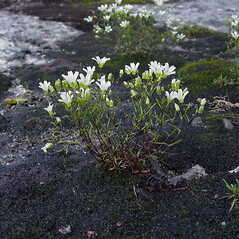 Arenaria glabra Michx. 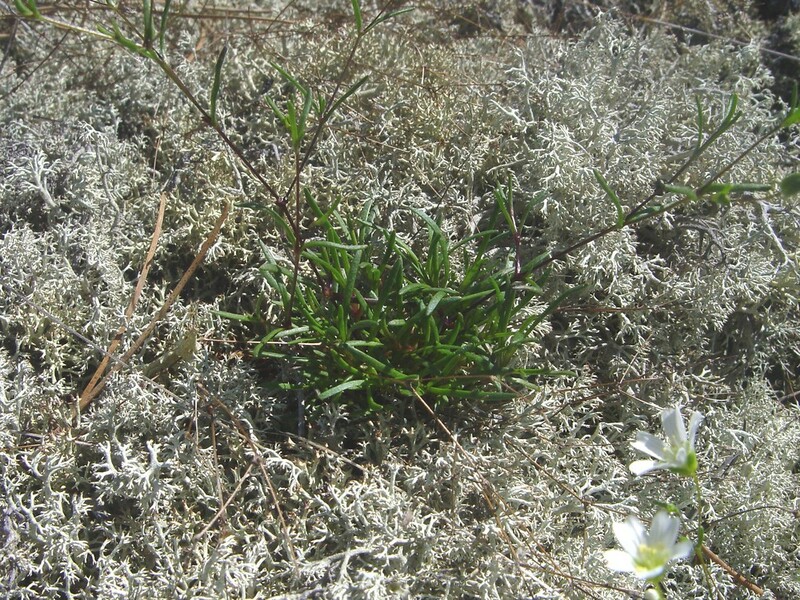 ; A. groenlandica (Retz.) Spreng. var. glabra (Michx.) Fern. 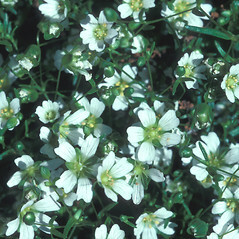 ; Minuartia groenlandica (Retz.) Ostenf. ssp. glabra (Michx.) A. & D. Löve; Porsildia groenlandica (Retz.) A. & D. Löve ssp. glabra (Michx.) A. 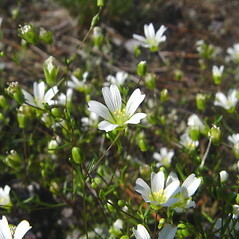 & D. Löve; Sabulina glabra (Michx.) Small • CT, ME, NH, RI. 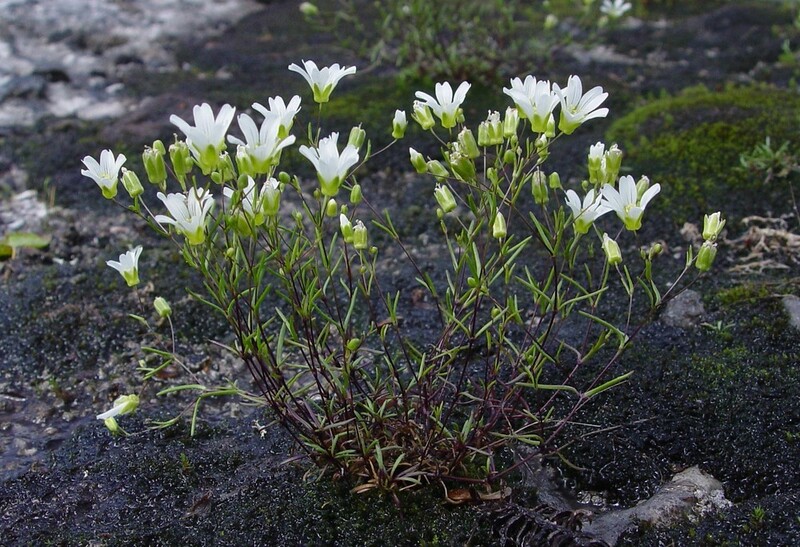 Ledges, balds, rock slabs, usually on relatively low summits and ridges, occasionally near sea level on sandy gravel and slabs, typically on granite or soils derived from granite. 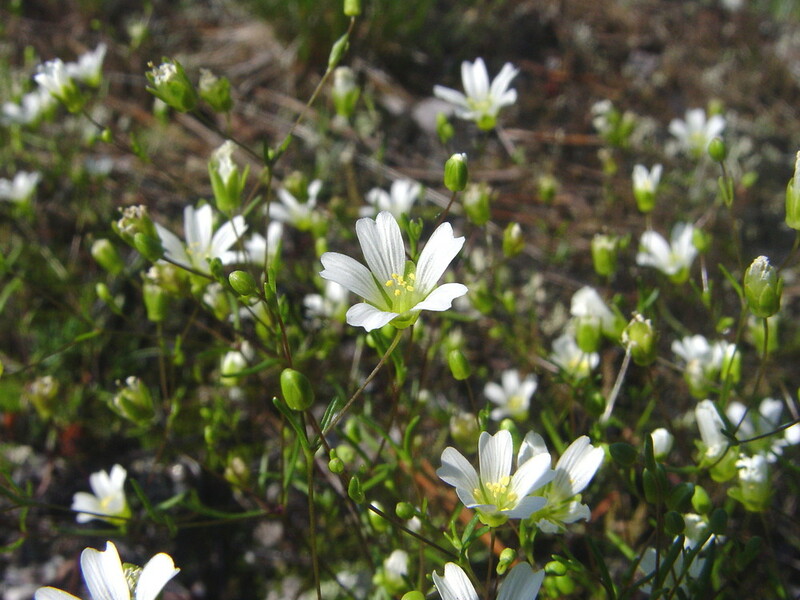 Minuartia glabra and M. groenlandica appear to be distinct taxa in the southeastern United States (Weaver 1970). 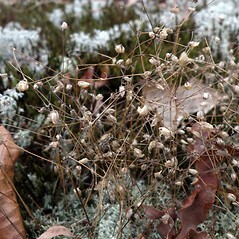 However, critical examination of herbarium specimens reveals a different situation in New England. 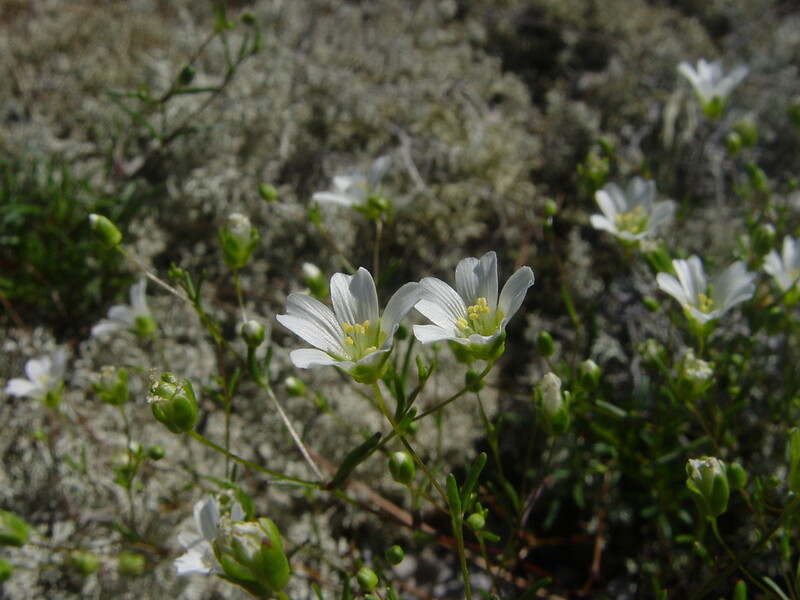 The vast majority of morphological characters used to separate these taxa by previous authors (e.g., plant height, length of leaves, pedicels, sepals, and petals, flower number, anther color) show significant overlap and do not discriminate taxa. The only reliable characters appear to be habit and presence/absence of dense, basal growth (perhaps not enough differentiation to warrant species status). 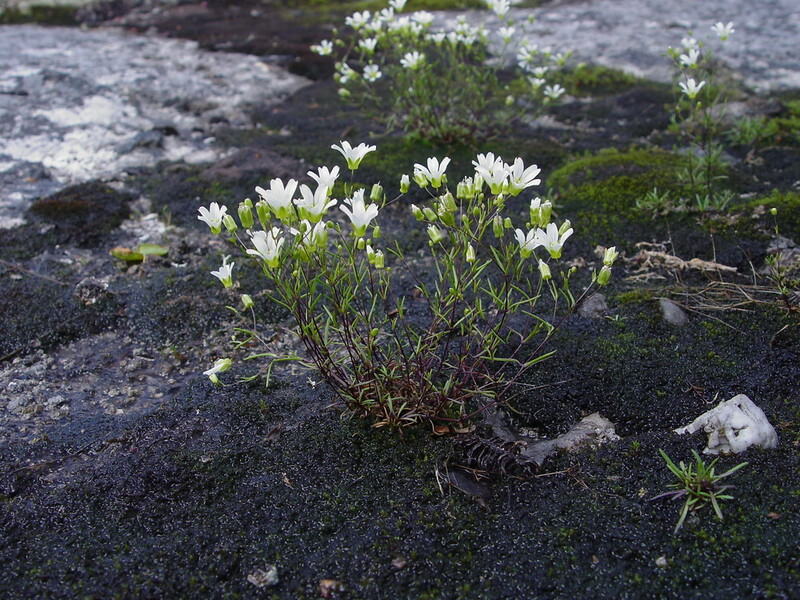 Plants of M. groenlandica are generally found in high elevation, alpine habitats, whereas M. glabra is found on low summits and even bedrock slabs near the coast. 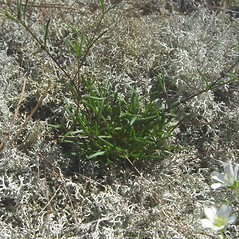 However, M. groenlandica can be found on the low, coastal hills of Mt. Desert Island, ME, blurring the ecological distinction.